One of my favorite cuts of steak is known as the top sirloin cap. I think it is one of the most under-appreciated cuts of beef, generally because it is not sold separately. When you break down a top sirloin, it is mainly comprised of the main sirloin and the cap. 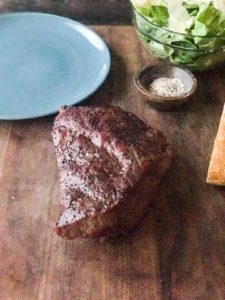 The cap is also known a culotte steak or a churrasca steak. It is significantly more tender than the top sirloin, and more flavorful. What’s the Top Sirloin Cap? 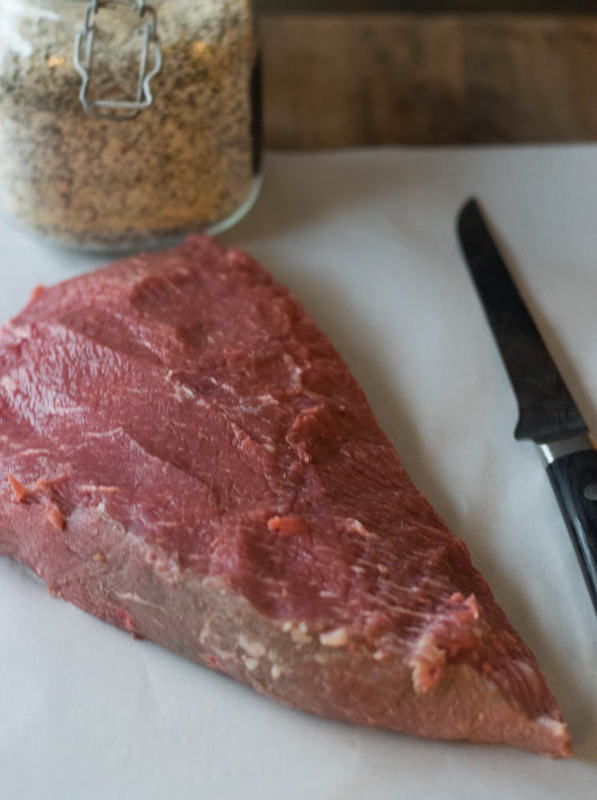 People generally either love or hate sirloin. It doesn’t carry as much marbling as a ribeye, nor is it tender like a filet, but generally is a good value at the grocery or a steakhouse. However, the sirloin cap is a different cut, so to speak, and will be a favorite of any beef lover. If you know a good butcher or frequent a steakhouse that cuts their own steaks, ask them to save you a capsteak next time. I think of it as similar to the spinelis dorsi, or ribeye cap that is so flavorful and popular now. However, unlike that cut, you generally would never butcher the sirloin cap into a part of a sirloin steak. Most of the top sirloin cap ends up as churrasca steaks served at Brazilian steakhouses, with the thin layer of fat left on it. When I cook it, I generally remove it, but that is optional. I don’t pretend to know why, but the sirloin cap gathers smoke flavor more quickly than any other cut I smoke. 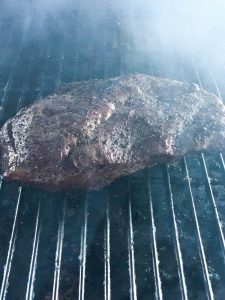 As it is naturally tender, it can handle a “hot” smoking temperature. To keep it moist, you will want to finish it at a medium rare or medium internal doneness (135 for medium rare.) 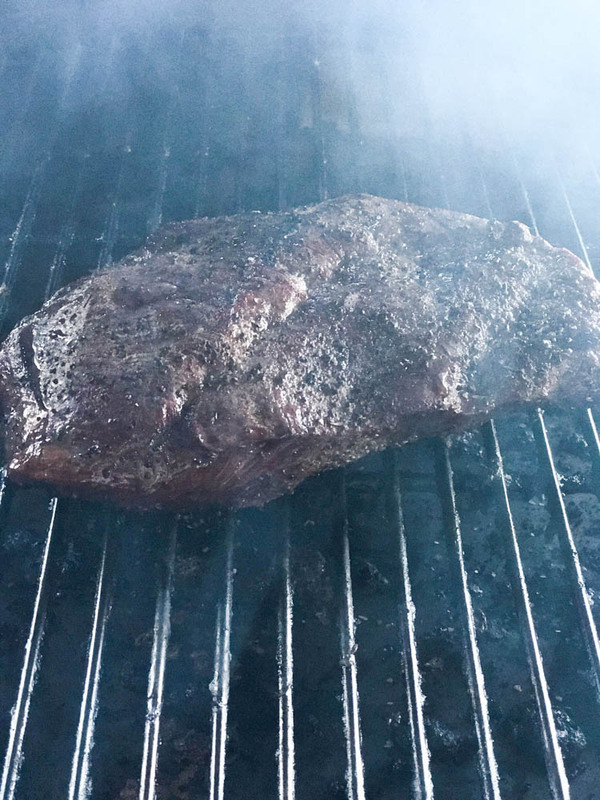 Unlike a brisket, it does not have a lot of connective tissue that needs a long time to break down to achieve tenderness, so I cook it at 275 or 300 degrees. First, trim off any silver skin. I remove the fat cap as well, as I want to season the entire steak, however, this is optional. Next, season it up! 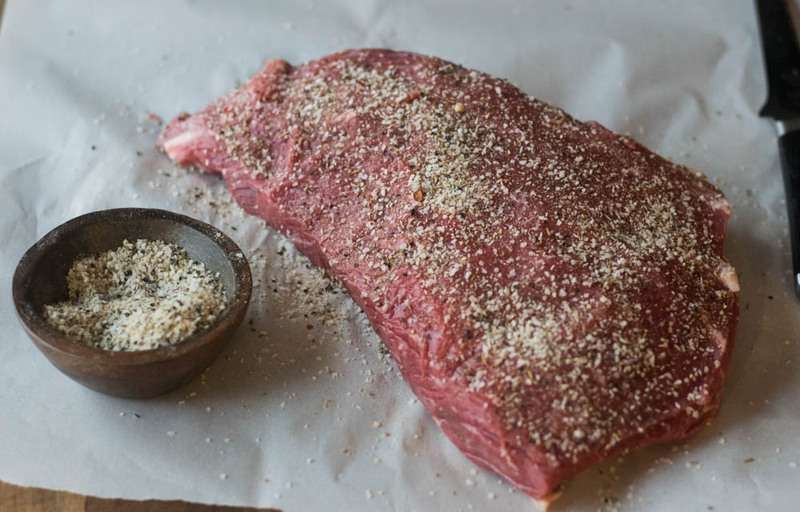 I use my Grillin’ Shake, but a simple salt and pepper, or your favorite BBQ rub will do nicely as well. Put in on the smoker! I ran my smoker for this cook at 275, but frankly wished I had raised the temp to 300 in retrospect. For beef, I’m a big fan of using cherry wood, but any hardwood would be good with this. Serve it up! Your friends and family will thank you! Where did you find it? Local or online? Been wanting to try picanha steaks but wasn’t sure where I could get some. I’m in Memphis. You’ll do better looking for “top sirloin cap” or “culotte” steaks- but they’re very hard to find unless you know someone in a meat market. 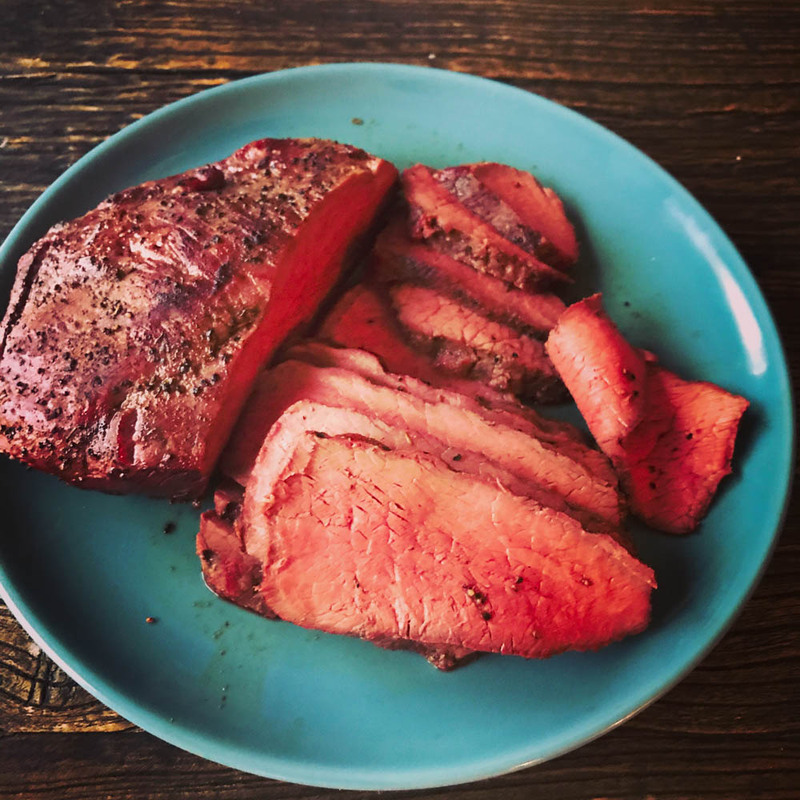 That looks just like what we cook in central California, it’s called tri-tip. It is very very popular. Thanks for all your recipes, they are wonderful. Go to Whole Foods those guys still do real butcher work. I just had one cut last night and it’s about to go in the smoker. What if I don’t have a smoker. Would the oven work? Yes, but you won’t get the smoke flavor. If you have an outdoor grill, just set it up to heat on one side and place the sirloin on the cooler side. If you have a gas grill, use some wood chips wrapped in foil over the hot side to add some flavor. Thanks!